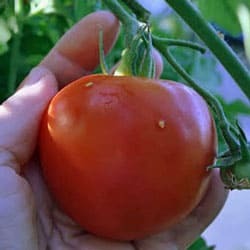 What to choose and which type is best suited for your particular garden depends on a few things – how much space you have to devote to tomatoes, if you need or want to grow in pots or planters, how many tomatoes you can or want to handle at once and if you want most of your tomatoes in one harvest or prefer to get a few at a time. 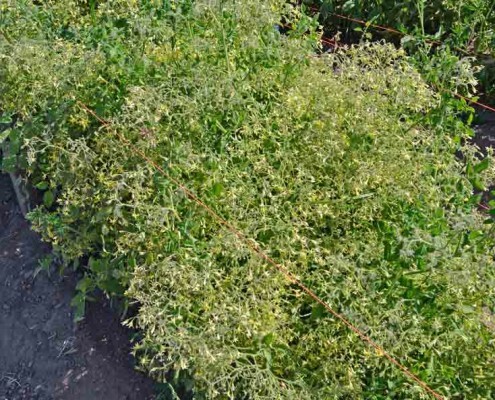 Determinate tomatoes are often called “bush” tomatoes, usually growing only about 3 to 4 feet high. These will grow to their full height, then start putting on tons of flowers – often covering the foliage with tiny bright yellow blossoms. When they start setting blossoms at the very top of the plant, growth stops and all of the energy is put into producing lots of tomatoes at once. Usually the entire crop will ripen within one to two weeks, with the plant either dying or sometimes going dormant for a period before producing a second, smaller flush of flowers for a smaller follow-up crop. 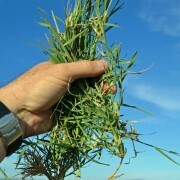 The second crop only happens in areas with a long growing season. Because they are smaller and bushier plants, determinate tomatoes can be grown in containers, pots or buckets in small spaces where a taller tomato which needs staking won’t work. They don’t need pruning, as that only removes flowers and reduces production. Determinate tomatoes are great for gardeners who want or need a large harvest all at once or over a short time frame, such as for canning or making large batches of sauce or salsa. An added benefit is most determinate varieties are early producers. Some gardeners like determinate varieties as the early harvest allows them to get a good crop of tasty tomatoes and still enjoy a long summer vacation! 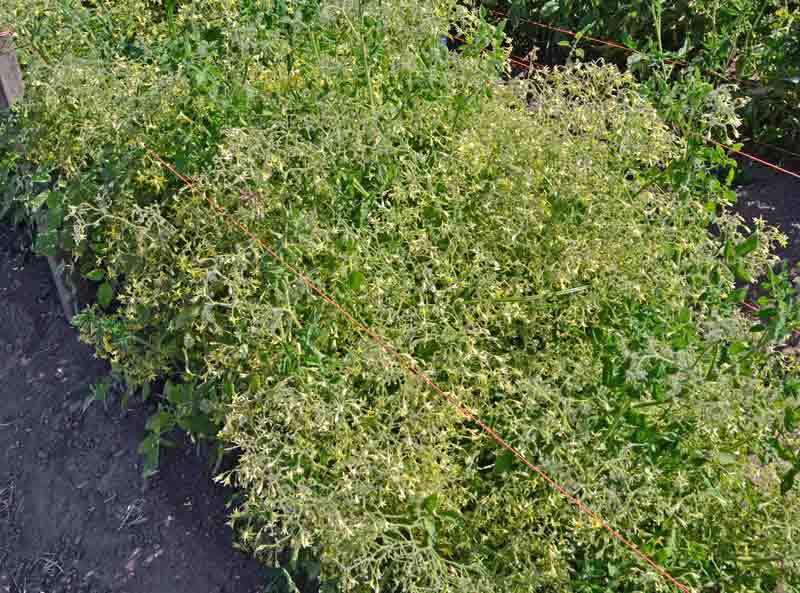 Some determinate tomatoes will benefit from staking or caging, but it isn’t as necessary as with indeterminate varieties. 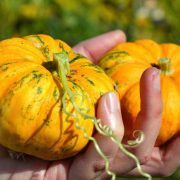 Those that need support don’t need much, just enough to keep them from toppling over if grown in a pot or container or from wind or rain. Indeterminate tomatoes are sometimes called “vining tomatoes”, as they will continue to grow throughout the season until frost kills them. 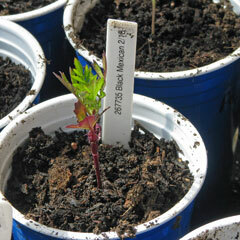 These are what you’ve seen photos of showing tomato plants 10 or even 15 feet tall in a home garden. The greenhouse industry uses indeterminate tomatoes and will sometimes have tomato plants of 40 feet or more! The average height is about 6 to 8 feet for a home garden. This type of tomato plant will grow some, set some flowers, produce fruit and continue to grow and repeat the process all season long. The amount of flowers and fruit set each time depends on the variety of tomato; some will only set a few flowers each time while others will easily put on 20 to 50 flowers for the smaller, cherry or currant size tomatoes. Indeterminate tomatoes really remind us these are tropical plants which are perennial in their native habitat. 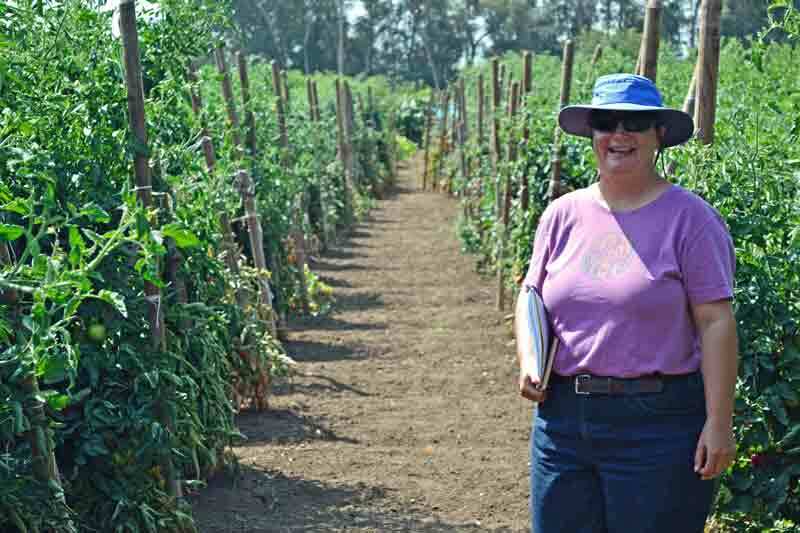 It isn’t unusual to find three year old tomato “trees” in Central America! Indeterminate tomatoes are perfect for the home gardener who wants a smaller harvest several times during the season instead of one large batch at once. The amount of fresh tomatoes on your kitchen counter is easily controlled by how many plants are in the garden. Be warned, however, even indeterminate tomatoes can easily overwhelm the average home gardener’s kitchen with just a few too many plants in production! Support for these tomatoes is essential for good harvests and to keep the plants healthy. 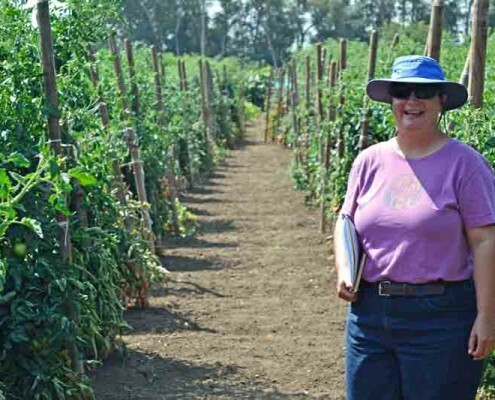 Indeterminates can be allowed to sprawl – we have done it many times – but it becomes a lot of work to lift and move hundreds of pounds of vines to pick the tomatoes, and lots are lost to not being able to see them and they rot on the ground. Support systems like cages, staking, trellising and such will go a long way to keeping these monsters manageable. Heirloom tomatoes can easily have stems 1 ½ inches in diameter at ground level, so make sure the support structure is solid and able to hold a hundred pounds or more of tomato plant weight. Pruning is optional, with some swearing by it while others don’t find it helps tomato output very much. 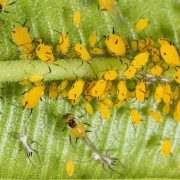 Your climate has a lot to do with it, as those in humid climates will see benefits from pruning the bottom 10 – 12 inches to improve airflow and prevent the lowest fruit and leaves from touching the ground, inviting pests and disease into the fruit and plant. We have experimented with pruning and found for us in our climate early pruning prior to transplanting is beneficial, but we don’t see any improvement in production in pruning after transplanting and have actually seen a decrease in the size and amount of tomatoes on pruned plants. One technique that helps end of season fruit ripen better is to prune late flowers that don’t have a chance of producing fruit before frost. 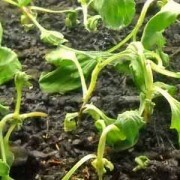 This re-directs the plant’s energy into the ripening fruit and not into flowers that won’t bear anything. Many gardeners will grow both types, with an emphasis on one or the other depending on their needs. Some will do a few indeterminates for fresh slicing and salad tomatoes all season, with the majority of the plant being determinate for their well-known spaghetti sauce or signature salsa that is canned or frozen for the upcoming year. Others want to do smaller batches of different sauces or salsas or have a smaller kitchen and just can’t can a couple of hundred pounds of tomatoes at once. Now you’ve seen how both types can be beneficial, you can choose what works best for your garden!